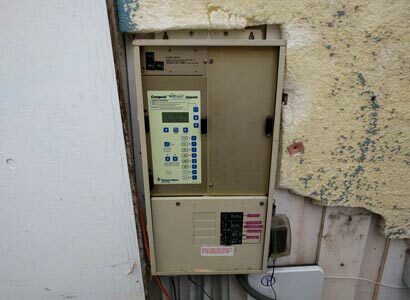 This outdated swimming pool automation in San Diego was due to be upgraded. 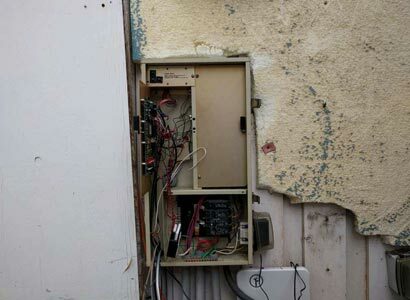 Though the pool controller worked just fine, the homeowner wanted to operate the pool and spa remotely. To perform that task, the old Compool LX3600 controller needed to be upgraded, not replaced. To control the pool and spa from a smartphone or tablet would require the installation of a Pentair EasyTouch upgrade. Pentair has made a pool automation upgrade kit for the Compool 3600 preventing you from needing all new pool automation. By installing a controller upgrade saves you money and downtime for the pool and spa. The main reason this client wanted to upgrade the pool controller to a smartphone or tablet is that they travel frequently. By having the pool controlled with their phones, they can turn on the hot tub remotely at any time allowing them complete control of their pool and spa. Because they used the hot tub often, they were interested in turning on the hot tub well in advance of them returning home to enjoy it without waiting. There was also a huge benefit that they can ensure the pool is not being left on or running when not necessary. They can operate the pool and spa lights, turn the hot tub on or off, along with being able to reprogram anything if needed. Another reason that you would need to upgrade your Compool or other pool automation is your variable speed pool pump. When installing a new pool pump that is variable speed, the older Compool controller or others won’t work properly. By having a new variable speed pool pump installed, the old pool automation is obsolete. The new pumps will not work as they should without upgrading your pool automation. Most of the time that we install new Variable speed pool pumps we are likely updating the old control systems. This also includes the need to update the pool remote to one of three options. The options when replacing the pool remote is to go with a new wired remote, a wireless pool remote or to use a smartphone or tablet. This choice often comes down to the way customers are most comfortable with or what they are trying to achieve. 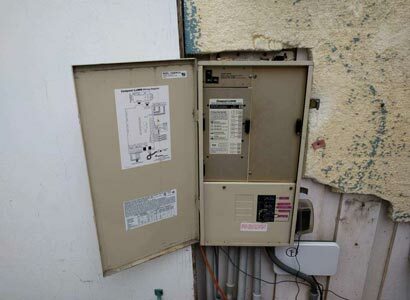 We will install a variable speed pump without performing the pool automation upgrade though we do not recommend it. 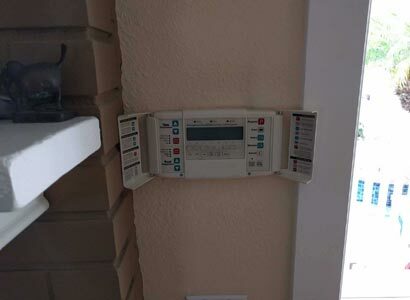 If you are looking to upgrade your pool automation in San Diego or are needing to, we can help. We install all makes and manufacturers pool automation though we often recommend Pentair. The EasyTouch, EasyTouch Lite, or the Pentair IntelliTouch pool controller are a great option. If you have questions or concerns about your specific type of pool automation, give us a call or fill out our contact form. We also specialize in all other pool equipment repairs and new pool equipment installation. We are a licensed San Diego pool contractor that performs these services throughout San Diego County.